Where to Post Your Message? The message is more important than the location sometimes. 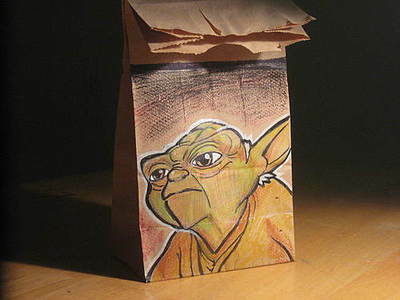 One could suggest that some of these lunch bag creations are even more appealing because they are on a bag that we associate with being expendable and temporary. Suddenly the focus is not just on what is inside (the food) but the image that greets us.